The region of Burgundy is famous for producing both great white and red wines, predominantly the chardonnay grape for white wine and the pinot noir grape for red wine. The region is small compared to the likes of Bordeaux, but it still produces approximately 200 million bottles every year! 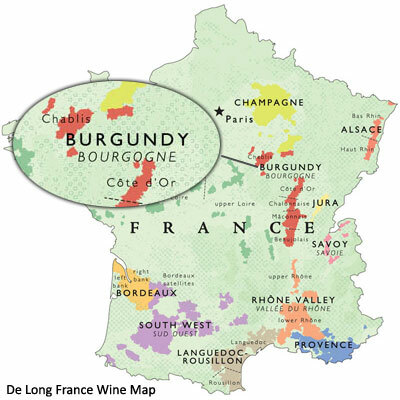 Burgundy is recognised as one of the greatest wine regions around the wine, but it’s surprisingly small in size, it represents just 3% of the total vines planted in France and 0.3% in the World. With 70,500 acres of vineyards planted in Burgundy compared to 290,000 acres for the region of Bordeaux, it’s over 4 times smaller than it’s French counterpart. The region is made up of 4 regions which are located next door to each other, as well as Chablis which is located on its own to the north-west of the main city of Dijon. The area runs for roughly 75 miles from north to south, with Dijon in the north and Macon in the south. 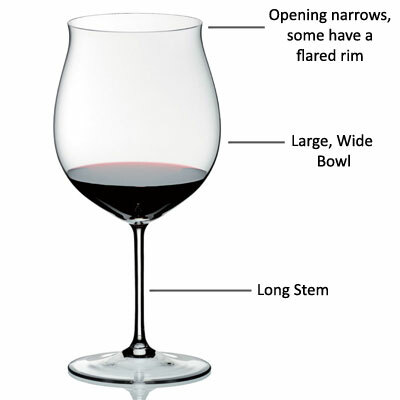 A typical Burgundy wine glass features long stem, a large wide bowl that narrows at the opening and they tend to hold a large capacity of wine. Nearly all manufacturers create glasses specifically for Burgundy wine because it’s so popular, Chardonnay and Pinot Noir grape specific glasses (the two main grape types in Burgundy) are also popular choices with similar glass shape characteristics. If you love wine from the region of Burgundy, we recommend our selection of Burgundy glasses, using a regionally specific glass really does make a difference and it will enhance your wine drinking enjoyment.